Nobody likes the like button. Everyone clicks on the like button to show support or approval, but sometimes a person’s Facebook status update or linked thing doesn’t merit approval, but disapproval, or sympathy, or something other than a mindless click of the like button. This has been an option people have wanted for a long, long time, and it’s not happened thus far, but demand typically creates supply. 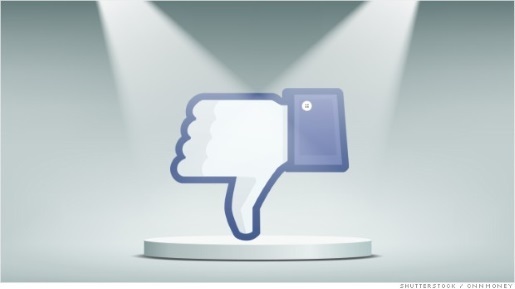 Facebook is adding what’s being called a Dislike Button. Finally, everyone’s going to be able to sympathize in a way that doesn’t sound like endorsing a tragic event. “If you’re expressing something sad . . . it may not feel comfortable to ‘like’ that post, but your friends and people want to be able to express that they understand,” said Facebook impresario Mark Zuckerberg on Tuesday. People have wanted this technology for a long time, and it was one of the more popular Facebook scams out there. Fortunately, Facebook is going to add it into the social network’s code permanently, though it remains to be seen just what they’re going to call the button if they don’t go with dislike. Maybe “empathy”? Or “acknowledgement”?